Home > News > Shenoy Scouts 1.2: GW3 Preparation. Shenoy Scouts 1.2: GW3 Preparation. The first two game weeks have flown by and a lot of big money signings would appear to be stagnating in most managers’ teams. Kevin de Bruyne was deployed at the base of the diamond for City, almost appearing to be a practical joke played by Guardiola. Harry Kane kept up with his poor numbers in August while the likes of Cesar Azpilicueta and the Arsenal defense failed to provide any real fantasy value. So today, we look at do’s and don’t’s for FPL managers before Gameweek 3. Even if there is such a thing as an August curse, Harry Kane is one week away from September and it would not be wise to get him out given that he can obliterate any opposition on his day. Kevin de Bruyne however is 10 mil funds being wasted and if you do hear rumours that he is going to carry on in the deep lying role, then perhaps getting him out for the dirt cheap Mkhitaryan or maybe even one of the Liverpool wingers could make sense. At the back, Hugo Lloris had a howler at Wembley, however with Keiran Trippier back at right full back and his value at 5.4M he could be one to look at given that Spurs look to have an easy run in. Newcastle look nowhere close to settled and one would be well advised to draft out any high budget players from their squad. Huddersfield appear to be on the up with assets on both sides of the pitch with Mooy and Mounie up front and an airtight defense at the back. Charlie Austin seems to be back in firing for the Saints and one would be well advised to keep a look out for his performances. One player that would appear to have gone under the radar is Riyad Mahrez. He’s been brilliant in the last two games but with Manchester United away next, perhaps you might have to wait a little before drafting him in. 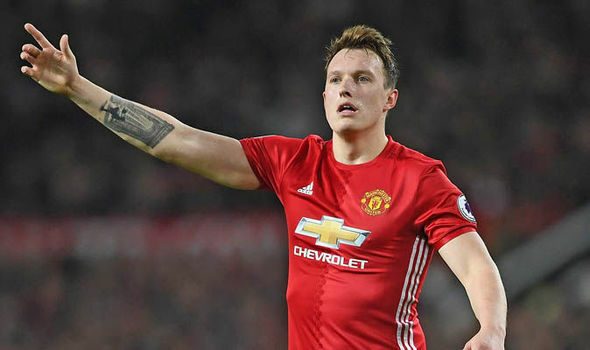 Speaking of Manchester United, Phil Jones at 5M is beginning to look like a very cheap route into the United defense. Also, with Luke Shaw back in training and his price falling, he could be on to look out for after the international break. Jese for Stoke appears to be a steal at 6M but the Potters tough run of fixtures might induce reluctance in managers to sign him up. West Ham United now have the services of Antonio again and with Hernandez finding his feet, they could be good options to have in your team at relatively cheap money. Gabriel Jesus and Sergio Aguero seem to be two high risk options right now at very high cost with neither being a guaranteed 90 minute player. West Brom are doing what they do best and are keeping clean sheets and at 4.7M, Hegazi could be a cheap route into the Albion defense. Andre Gray at Watford could be a smart signing and Richarlison as well appears to be providing positive returns. Bournemouth seem to be struggling at the start of the season, and things don’t look bright down on the south coast especially with Guardiola and City arriving. Ruben Loftus-Cheek and Tim Fosu-Mensah both looked really good in Crystal Palace’s narrow defeat to Liverpool and at 4.5M could be players worth taking a look at. 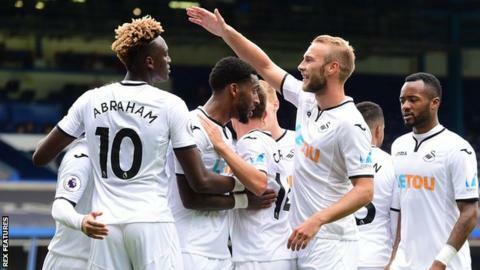 For Swansea, Tammy Abraham seemed to be doing everything other than putting the ball in the back of the net and things could turn for the young loanee and he is certainly one to watch. Finally, with the international break coming along, and the risk of injuries, you might want to hold back on making a transfer this week and use it for GW4 and make a triple change at the cost of a -4, a mini wildcard if you will. Be smart, and don’t make any rash decisions. The post Shenoy Scouts 1.2: GW3 Preparation. appeared first on El Arte Del Futbol. BREAKING : Zlatan Ibrahimovic signs new contract!